The ODS OAuth Test Tool creates examples to show users the correct format for constructing HTTP requests signed according to OAuth specifications. 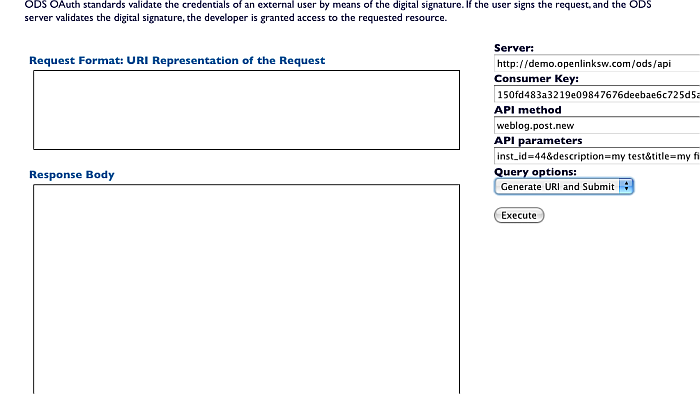 The users use this format in their applications to make successful requests to the ODS REST APIs. 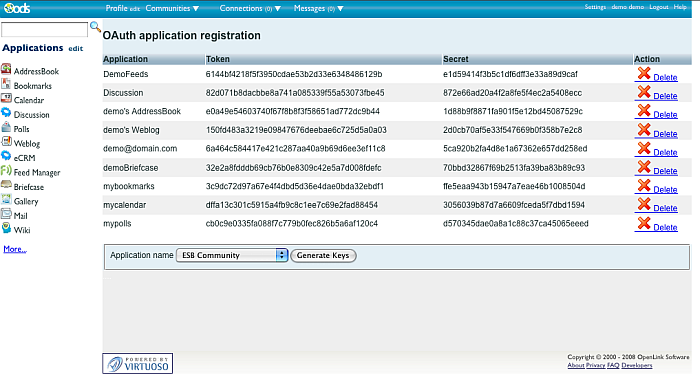 The ODS users generate a Consumer Key and a Consumer Secret for their application instances by ODS application UI (Setings -> OAuth Keys). You can find more information and sample scenario here. To reach a specific ODS resource via the ODS REST API, a user must also specify a API method and associated API parameters. 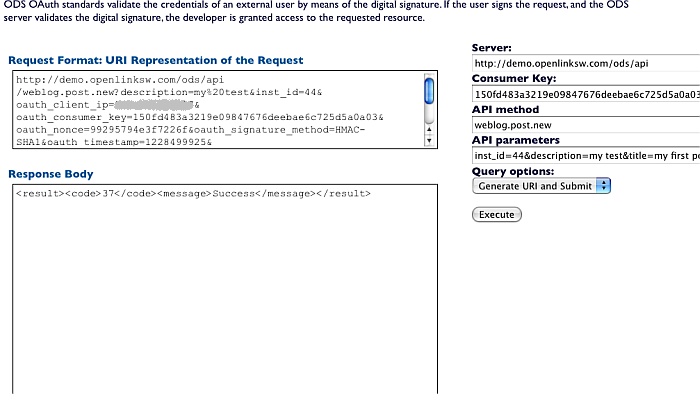 ODS OAuth standards validate the credentials of an external user by means of the digital signature. If the user signs the request, and the ODS server validates the digital signature, the developer is granted access to the requested resource. 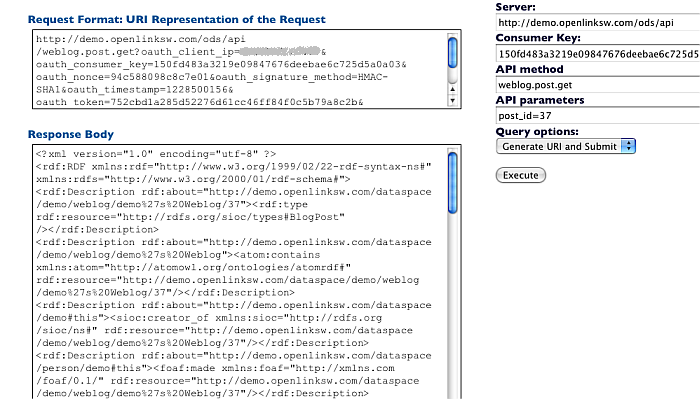 The following example demonstrates creating and getting contact info by the ODS REST APIs weblog.post.new and weblog.post.get using the OAuth Test Tool. Select for Query options: "Generate URI and Submit". In the shown authorization form click the "Authorize" button. As result in the "Response Body" text-area will be shown the retrieved details for the posts with the given above id.